The website www.croydonringwoodcamerahouse.com.au is owned and operated by Croydon Camera House P/L [ABN 29 007 312 996]. In these General Terms and Conditions for use of the Croydon and Ringwood Camera House Website “we”, “our” and “us” means Croydon Camera House Pty Ltd Croydon Camera House and Ringwood Camera House “our website” means the URL www.croydonringwoodcamerahouse.com.au and “you” and “your” means you, the customer. Registering on www.croydonringwoodcamerahouse.com.au allows users to be included in our email mailing list. Our emails include information on special offers, competitions, new product arrivals and other communications. You can subscribe by registering on the homepage, on the checkout page. Alternatively you can purchase products without registering, simply select that option at checkout. Croydon Camera House owns the trade marks “CROYDON CAMERA HOUSE” and “RINGWOOD CAMERA HOUSE” and reserves all rights in relation to it. Any other intellectual property rights, including graphics, logos, trademarks, design, text, icons, the arrangement of them, sound recordings and all software relating to www.croydonringwoodcamerahouse.com.au are owned by us, or in some cases a third party. These intellectual property rights are protected by Australian and international laws. You should assume that all of the content made available to you through this website is owned by Croydon Camera House or by third parties and is protected by copyright or other proprietary rights. Nothing contained on www.croydonringwoodcamerahouse.com.au is to be interpreted by you as a recommendation to use any information on this website in a manner which infringes the intellectual property rights of any person, company or entity. We make no representations or warranties that your use of the information on this website will not infringe such intellectual property rights. To purchase from us you must establish an account on this website (“your membership account”). We use Paypal for our online credit card transactions. Please refer to Paypal Terms & Conditions below for further information. You may also sign up to receive periodic e-mail newsletters letting you know of our latest specials. If at any time you decide you do not want to receive or continue to receive additional information from us, please refer to the heading “Subscribing and Unsubscribing to our e-mail marketing List contained within these terms. This website may contain links to, or frame, websites of third parties (“external sites”) which Croydon and Ringwood Camera House is not required to maintain or update. Any links to, or framing of, external sites should not be construed as any endorsement, approval, recommendation or preference by Croydon and Ringwood Camera House of the owners or operators of the external sites, or for any information, products or services referred to on the external sites unless expressly indicated on this website. Croydon and Ringwood Camera House makes no warranties and accepts no liability in relation to material contained on external sites. In addition, www.croydonringwoodcamerahouse.com.au, its affiliates and information providers do not warrant or guarantee the timeliness, accuracy or completeness of any information or advice contained on this website and will not be held liable for any errors, inaccuracies or omissions or other defects within any such information or advice or for any claims or losses arising therefrom. 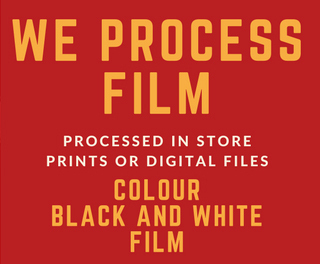 In these Terms and Conditions for Online Purchases, “we”, “our” and “us” mean Croydon Camera House (ABN 29 007 312 996) These Terms and Conditions, together with the general terms and conditions for use of our website, your order and the order reference number provided to you constitute the entire contract between us and you for the supply of products. You offer to purchase products from us through our website. Your offer is made by completing and submitting your order and providing your payment details. Our acceptance of your offer is confirmed by us providing you with an order confirmation and order reference number. Once we provide you with the order reference number a binding contract is formed. 5.1 Orders placed on weekends or public holidays may be processed on the next business day. 5.3 Business days are Monday to Friday, excluding Public holidays. 7.4 The price displayed for products on this website represents the full price in Australian dollars, including GST, for the product itself but does not include postage/delivery charges. (e) If the specified recipient is unable to accept delivery of the Australia Post eParcel, an “Article Awaiting” card will be left at the premises and your order will be delivered to an Australia Post Office suitable to store your order. In these circumstances, delivery is completed by us at the time the “Article Awaiting” card is left at your premises. 23.1 We will not be responsible for any damages, consequential losses (whether direct or indirect) suffered by a customer whose credit card is fraudulently used or is used in an unauthorised manner. 24.6 No www.croydonringwoodcamerahouse.com.au employee or agent has the authority to vary the contract governing any sale. 24.8 These Terms and Conditions for online purchase shall be governed by and construed in accordance with the laws of Victoria and shall be subject to the non-exclusive jurisdiction of the courts of Victoria. 26.1 Where applicable, Promotional/Discount/Coupon Codes (“the discount”) generate a discount from your cart/ shopping basket value or add an incentive. To activate the discount simply enter a valid Code then click the ‘Apply’ button. 28.1 We make no express warranties under these Terms and Conditions for online purchase. Manufacturers of goods may, from time to time, provide a voluntary warranty directly to you in relation to goods supplied. You must address any issues relating to a manufacturer’s warranty with the manufacturer on the terms of that warranty. 28.10 For the purposes of this clause, “Australian Consumer Law” means the law as set out in Schedule 2 of the Competition and Consumer Act 2010.